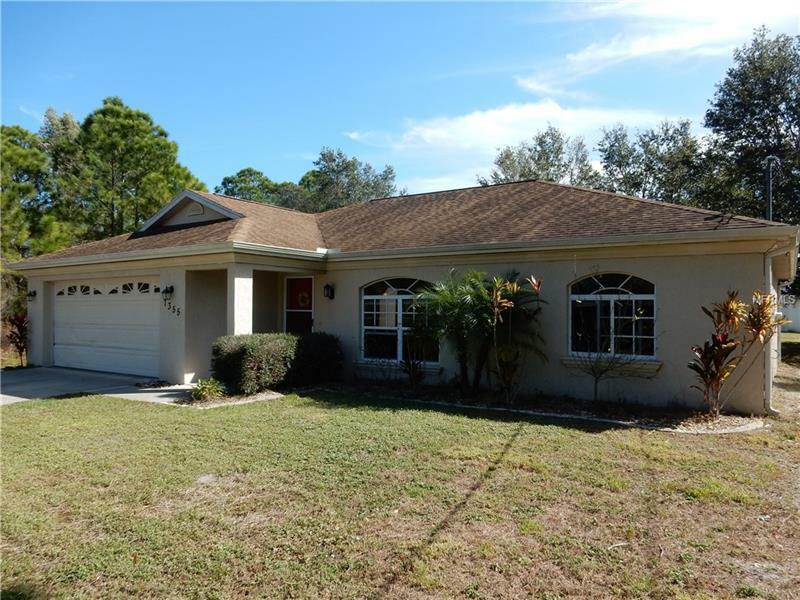 Fantastic North Port location for this nice 3 Bedroom 2 Bath 2 Car Garage home in a quiet neighborhood. This home features High Vaulted Ceilings, Bright and Breezy Open Concept Floorplan, Lots of Real Wood Cabinets in the kitchen, Fans thru-out, Large covered and screened Lanai overlooking the backyard and so much more. The master bedroom has a large walk-in closet, and this home is nice and clean and in move in condition. The 3rd bedroom is currently being used as an office with newer, thicker laminate flooring. Check this home out and you will not be disappointed. Don't Delay, Call Today.